The New Great Game blog (2013-2017). More to follow. The Great Game Round-Up brings you the latest newsworthy developments regarding Central Asia and the Caucasus region. We document the struggle for influence, power, hegemony and profits between a U.S.-dominated NATO, its GCC proxies, Russia, China and other regional players. 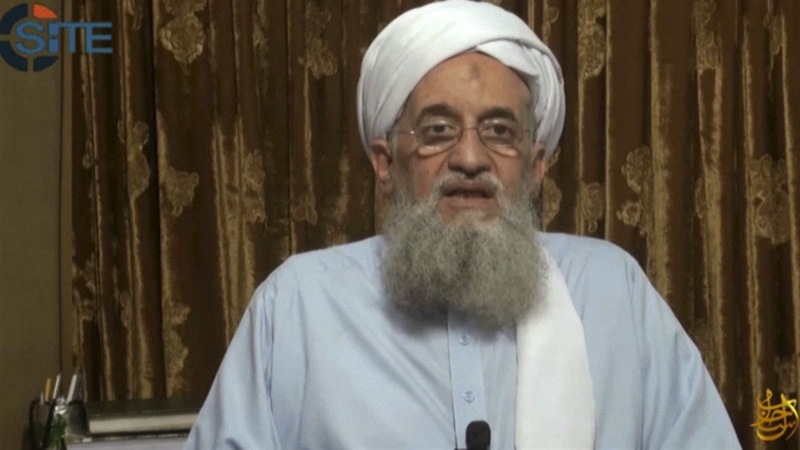 Al-Qaeda central appears to have joined the Islamic State in calling for jihad against China over its alleged occupation of Xinjiang Uyghur Autonomous Region. This week, al-Sahab media organization, al-Qaeda’s propaganda arm, released the first issue of its new English-language magazine Resurgence. The magazine has a strong focus on the Asia-Pacific in general, with feature articles on both India and Bangladesh, as well as others on Afghanistan and Pakistan. However, the first issue also contains an article entitled “10 Facts About East Turkistan,” which refers to the name given to Xinjiang by those who favor independence from China. The ten facts seek to cast Xinjiang as a longtime independent state that has only recently been brutally colonized by Han Chinese, who are determined to obliterate its Islamic heritage. An attack on a farmers market in the western Chinese region of Xinjiang has reportedly left at least 22 people dead and dozens injured, Radio Free Asia, the news service financed by the American government, has reported. 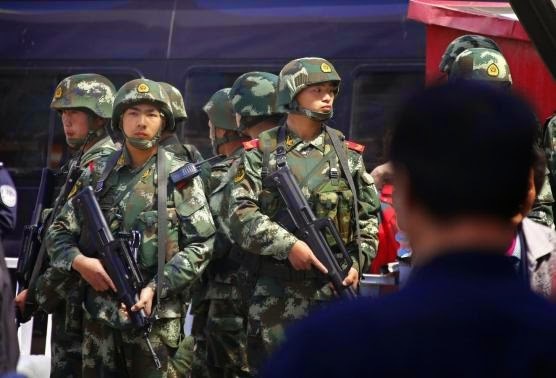 Radio Free Asia said on Saturday that the rampage, which took place Oct. 12 in Kashgar Prefecture, was carried out by four men armed with knives and explosives who attacked police officers and merchants before being shot dead by the police. Most of the victims were ethnic Han Chinese and the assailants were ethnic Uighur, the news service said, citing local police officials. As of Sunday, news of the attack had not appeared in the Chinese news media, which frequently delays reporting about unrest in the region for reasons not entirely clear. The authorities make it difficult for foreign journalists to travel to the string of towns and cities in southern Xinjiang where much of the recent bloodshed has occurred. The last two weeks alone have seen reports of an attack on a farmers' market near Kashgar that claimed at least 22 lives and of two Uighurs being shot dead following a "stabbing rampage" in which three civil servants and three police officers, including a pregnant woman, died. Such clashes, which have been driven partly by the lack of rights and economic opportunities for Uighurs and partly by a growing vein of Islamic extremism, have driven the Communist party to send 200,000 officials out to improve relations in the field. The teams have been told to interview each household in their village and compile detailed reports on their employment status as well as on their observance of Islam, noting down, for example, whether the women wear veils and the men have beards. China Central Television (CCTV) showed several Uighur defendants dressed in orange prison uniforms confessing and expressing regret for their crimes. They said they had been brainwashed into "holy war" by a man named Nulamaiti Sawuti, who the government said incited the violence in July and was killed then. "He talked about jihad, about establishing an Islamic state," one Uighur defendant, identified as Ailimu Rouze, told CCTV, referring to Sawuti. "We often thought about carrying out holy war," another defendant, Aili Tuersun, said. Kabul has asked Shanghai Cooperation Organization (SCO) member states to help Afghan special services in combating terrorism, the SCO Regional Anti-Terrorist Structure (SCO RATS) said Thursday. The SCO RATS director Zhang Xinfeng and Afghan Ambassador to Uzbekistan Mohammad Sadiq Daudzai discussed the security situation in Afghanistan on October 17. Opium poppy cultivation in Afghanistan has hit an all-time high despite years of counter-narcotics efforts that have cost the US $7.6bn (£4.7bn), according to a US government watchdog. The UN Office on Drugs and Crime reported that Afghan farmers grew an “unprecedented” 209,000 hectares (523,000 acres) of opium poppy in 2013, surpassing the previous high of 193,000 hectares in 2007, said John Sopko, the special inspector general for Afghanistan reconstruction. 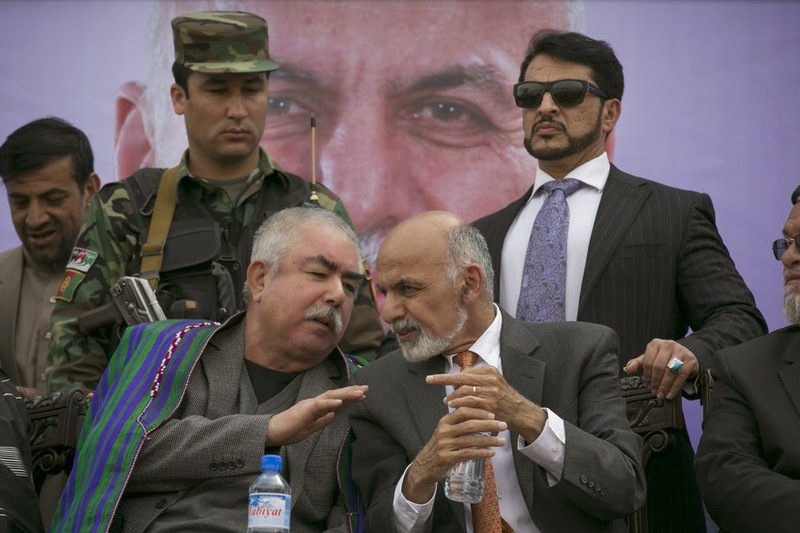 About 1,500-2,000 Taliban are fighting in Faryab Province, Afghanistan, including 100-150 foreign fighters, Radio Free Europe/Radio Liberty (RFE/RL)'s Turkmen service reported October 10, quoting Bashir Ahmet Tayanch, an Afghan MP from Faryab Province. The foreign fighters seldom take part in battle, usually teaching the local Taliban how to build bombs and commit terrorist acts, Tayanch said. They include many men from Pakistan, Uzbekistan and the Northern Caucasus, he said, adding that Almak District alone has six Uzbek militants and their families, according to official data. 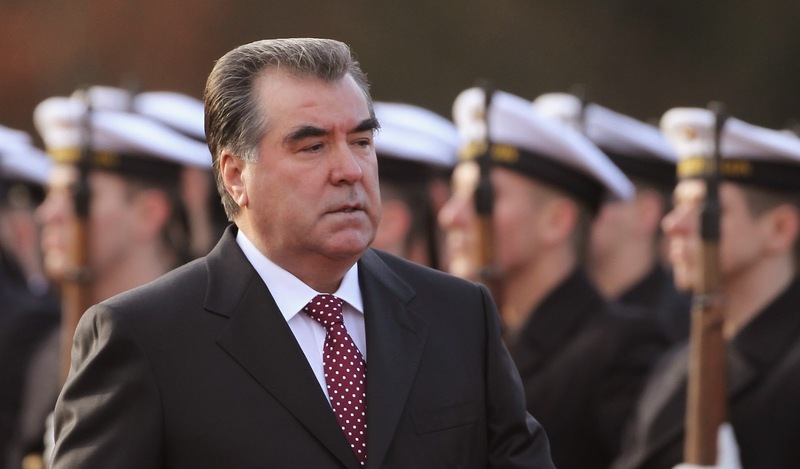 The withdrawal of the International Security Assistance Force from Afghanistan will make Tajikistan provide additional budget means for strengthening security on its borders and protecting foreign investments, Tajik President Emomali Rakhmon said on Wednesday. “If the anti-terrorist coalition withdraws troops from Afghanistan, Tajikistan has to increase expenses for strengthening its borders because there will be no investments, entrepreneurship development and the economy without guarantees,” Rakhmon said. Tajikistan, one of the world’s poorest countries, is counting on an influx of Chinese investment to cushion its economy from the reverberations of sanctions-hit Russia. China is to invest at least $6bn in Tajikistan over the next three years, Jamoliddin Nuraliev, the country’s deputy finance minister, says in an interview with the Financial Times. The planned investment, equivalent to two-thirds of Tajikistan’s 2013 gross domestic product and more than 40 times annual foreign direct investment, is the latest sign of China’s economic expansion into former-Soviet central Asia, as it seeks to secure natural resources and ensure stability in a region Chinese expats call Beijing’s “wild west”. If you are bored of Botswana, tired of Tunisia and Mongolia is just not edgy enough any more then perhaps Tajikistan could be your next true frontier market destination. The Tajik government certainly hopes so. It has just organised its first ever investment conference – and with some 600 people in attendance, it would seem there is certainly some curiosity about what Tajikistan has to offer. With 8m people and GDP of just $8.5bn last year (making it one of the world’s 30 poorest countries by GDP per capita), Tajikistan is not an obvious destination for foreign investment. Add endemic corruption, unreliable electricity supplies, ever-changing tax and customs regulations, an economy under pressure from the slowdown in Russia and competition from politically-backed Chinese investors and it is clear that investing in Tajikistan is only for the hardiest souls.